When we first moved to New Albany and started driving through Gahanna on Route 62, the creekside area was an uninspired stretch of road that featured an undistinguished post office and industrial-type buildings. At some point, Gahanna decided that it could do better, and Creekside was the result. The old buildings were torn down, the creek area itself was spruced up, and attractive structures and common areas were built on the west side of Route 62, next to the creek. Both private money and public money were invested in the project. Aesthetically, Creekside is a vast improvement. It is a mixed use development, one of those ubiquitous “Eat — Work — Live — Play” creations that were supposed to be the wave of the future. Unfortunately, it didn’t work out that way. Only 13 of the 70 condo units at Creekside were sold. And while 75 percent of the retail space is occupied, there doesn’t seem to be much foot traffic. Now, Creekside is facing a foreclosure action, and the city of Gahanna — which owns the public portions of the development — will need to deal with that process and its fallout. 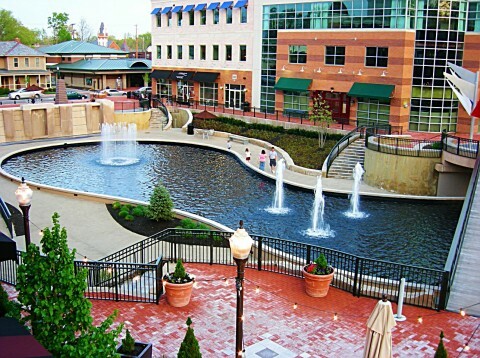 The Creekside experiment is a cautionary civic improvement tale. Creekside opened to great fanfare in May 2008; less than three years later, it is struggling to survive and needs to retool. “If you build it, they will come” is a great line in a movie script, but when it comes to development projects it isn’t always accurate. Scientists are debating a provocative new study that suggests that life is found elsewhere in the universe, and may have arrived on Earth by way or meteors and comets. In an article published in the Journal of Cosmology, NASA astrobiologist Richard B. Hoover reports on his studies of a rare type of meteor. He concludes that the meteors include fossils of bacterial life. Some of the micro-organisms are recognizable and closely associated with life found here on Earth, like the gian bacterium pictured above. Other apparent fossils are of unknown life forms. Hoover is convinced of his findings. Other scientists, however, are skeptical — skepticism, after all, is one of the fundamental tenets of good science — and want more proof. If Hoover’s conclusions are correct, then the implications are Earth-shaking. The study suggests that life is more common than thought and can survive in the harshest imaginable conditions. It also suggests that life may have originated elsewhere and landed on Earth via comet and meteor — in effect, that Earth was seeded with life forms from another place. The apparent fossils that look familiar thrived after they arrived in Earth’s moist, oxygen-rich atmosphere; those that look unfamiliar, however, died out. And, because scientists are uncovering evidence of increasing numbers of Earth-like planets in the galaxy, the study suggests that life could have been seeded, by the same means, on other planets. If that is so, then the chances of intelligent extraterrestrial life forms may be greater than previously thought.